Low taxes, accessible government, a skilled workforce and quality of life are all good reasons New Hampshire will stay competitive in the economic development arena. New Hampshire enjoys four seasons, all of which are a dynamic back drop to endless recreational opportunities on lakes, at the seacoast and throughout its mountains. With over 90 parks the Granite State offers an experience for just about every altitude, from sea level at Hampton Beach State Park to Mount Washington State Park, the highest peak in the Northeast, at 6,288 feet. New Hampshire is a strategic location in the heart of New England, close to markets and clients in Boston, New York, Montreal and beyond. 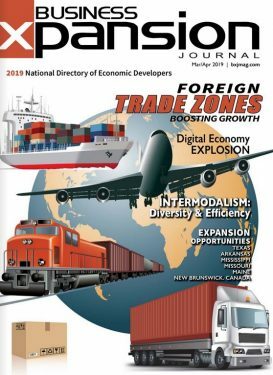 The state’s three interstates, rail corridors, Manchester-Boston Regional Airport and a deep water port are well-positioned to keep businesses competitive. New Hampshire has one of the highest percentages of college-educated citizens in the nation and ranks consistently high for the rate of people employed in science and technology. Strong partnerships between community colleges, state universities and industries allow for customized training programs. New Hampshire has 28 Career and Technical Education (CTE) centers. A few industries act as main drivers for the state’s economy including smart manufacturing/high technology (SMHT). This is the largest and most important sector of the state’s economy. New Hampshire’s SMHT sector is mainly known for using high-tech equipment to produce electronic components. Much of the SMHT activity is concentrated along the Seacoast and in the Upper Valley. 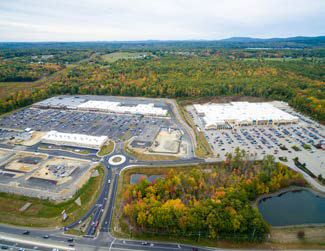 The Merrimack Valley and Monadnock Region also host a number of manufacturing operations. Almost 400 years into its storied history, Dover, N.H., is bursting with new development. Three miles south of Maine, Dover is the reigning seat of Strafford County and – founded in 1623 – the oldest town in New Hampshire, settled by Puritans, Quakers, and Native American warriors. As “The Garrison City,” Dover became a sturdy mill town, built on the bones of flat-bottomed boats and red river herring. In the Industrial Age it came to power hydroelectrically, drawing from Cochecho Falls, the dynamic crown of Cochecho River, which courses grandly through the City. Half an hour from the beach, one hour from the mountains, Dover holds the charms of all four seasons – glistening winter snows, purple-lilac springs, dreamy seaside summers, and vibrant fall leaves in every autumn hue – prodigiously painted, resplendently New England. In fact, fall foliage earns the Granite State $100,000 in tourism annually. Abe Lincoln spent one night passing through Dover, but Dover has clearly become a destination city in its own right. Meanwhile, commuters can hop the daily Downeaster to neighboring Boston, but “home” is decidedly New Hampshire, where residents enjoy the highest standard of living in the country – free of state income tax, free of general sales tax. The first state to declare freedom from Britain, “Live Free or Die” rings loud and true in New Hampshire, particularly among Doverians. In 1828, 400 female millworkers boldly declared that cotton wasn’t “king” in Dover, leading the first women’s strike in American history. Faithful to its founding, the City that spurs revolutions still inspires new business innovations. 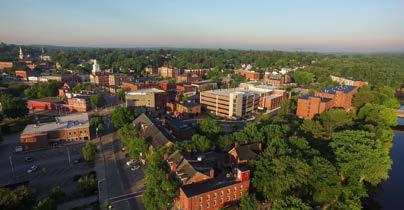 With no room to expand outwardly, Dan Barufaldi, City Economic Development Director, began a landmark campaign to transform Dover’s downtown district into “a vibrant city core,” using existing space(s) in new and profitable ways. Today new businesses fill enduring, elegant buildings. The City prides itself on local cuisine, with 30-plus uniquely “Dover” restaurants downtown, where national chains typically don’t fit the bill. Nearly crime-free, Dover remains a friendly, historic, “walkable” city. And approachable. Every Monday Barufaldi meets with the City Planning Director at a popular, local coffee shop. Together with the Technical Review Committee, the team coordinates all details for production before presenting a new commercial project for City approval. To learn more about Dover, contact d.barufaldi@dover.nh.gov or visit dover.nh.gov. 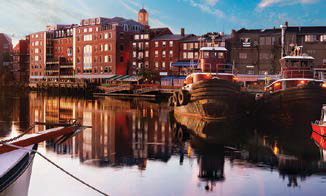 Blessed with an array of unique and strategic assets, Portsmouth, New Hampshire, is an important cultural and economic hub in the cradle of New England. With the state’s only deep-water port, historically-significant tourist destinations, and loads of economic opportunity, Portsmouth’s importance as a financial engine for the region cannot be overstated. One of the largest and most important players in the area is the Portsmouth Naval Shipyard (PNS). Actually located on the opposite bank of the Piscataqua River in Kittery, Maine, the PNS is a major overhaul and refueling facility for all classes of submarines and is now one of only four U.S. Navy bases capable of housing nuclear submarines. The combined military and civilian payroll is more than $400 million annually, and the base accounts for $38 million in purchases throughout New England, making the PNS a major economic driver in Portsmouth and beyond. On the Portsmouth side of the Piscataqua lies The Port of New Hampshire, a great source of pride and opportunity for the city. With a 66-foot wharf, 310 foot-long barge pier, two warehouse structures, and container port operations, the Port of New Hampshire is a major shipping center for all of New England. A rising mill town in the 1850s, Rochester, N.H., was primed and ready for Industrial Revolution, propelled by the Cochecho River, four mighty railroads, and the gainful, mass production of woven Union blankets. Though the mills closed long ago, industry in Rochester is still climbing at full speed. In the stead of 20th-century textiles, high-tech manufacturing giants like Safran Aerospace Composites and Albany International are weaving 3D composite materials for shuttlecraft engines that will take space exploration to new heights. In 2018 New Hampshire Magazine named Rochester the “City on the Rise,” praising the Lilac City for success in cultivating fine arts and entertainment while revitalizing a vibrant (and thriving) business district. Town crown jewels include the historic Carnegie library and the 100-year-old Rochester Opera House, featuring a movable stage, the last of its kind still standing. 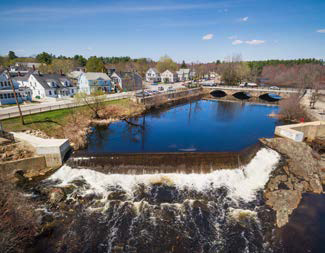 Across the Salmon Falls River from Maine, Rochester is plentiful with waterways, close to the mountains, and 20 miles from the Atlantic. It’s a short commute to Boston, so locals can enjoy big-city benefits without high residential prices. With unemployment at 2.1 percent, Rochester is generating more high-paying jobs by expanding its medical manufacturing, professional services and retail industries. A groundbreaking workforce training program is underway to help local students earn FREE college credits with advanced internship opportunities. Behind Rochester is an illustrious, industrial history that set its steady course (and peerless pace) for progress. Gleaming with renewed purpose, the historic mill buildings still stand – stalwart vestiges of Rochester’s “Golden Age” and earnest icons of the City’s better, brighter, future. For community and commerce in Rochester, as always, it’s full-steam ahead. For more information, visit: rochesteredc.com/.